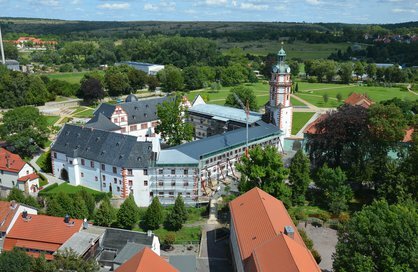 This tour will be offered again to the Bach Festival Köthen in 2020. Reservations are accepted now. We meet at 2 p.m. at the hotel in Weimar. 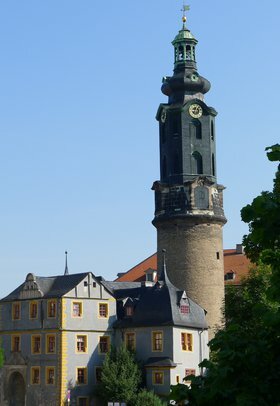 In Weimar, you are guided around the surviving Bach sites, such as the city castle and city church, where many of Bach’s children where baptised. After this there is some time to explore the city. 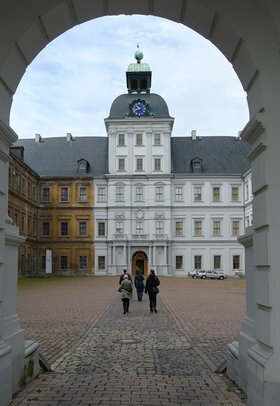 We take the idyllic Ilm Valley bike trail going past castles, such as the summer residence of Weimar’s dukes and duchesses. Finally, we get to the Thuringian Wine Gate and the spa town of Bad Sulza. 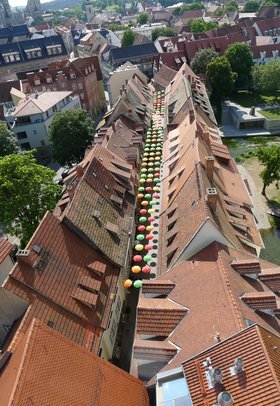 A few kilometres onwards, we leave the Ilm behind and for the rest of the day follow the trail along the Saale, passing by romantic castles until we reach Bad Kösen with its impressive graduation works. Further on our way, the route leads us along the lower vineyards of Saale/Unstrut until we arrive in Naumburg. 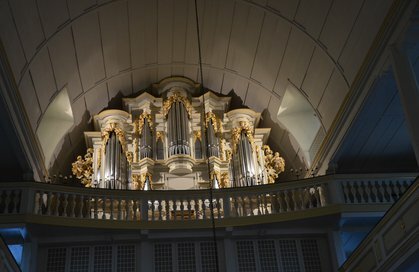 In Naumburg a guided tour of the famous Hildebrandt organ awaits us, which conveys the singularity of Bach’s sound ideal until today. You can also visit the famous dome individually. 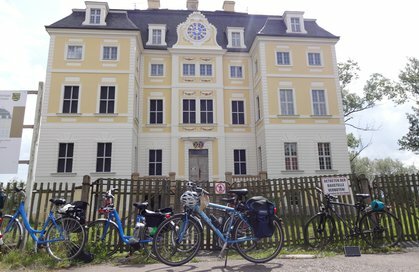 After lunch we cycle to Weißenfels to visit the Heinrich Schütz House. Finally, we stop off to the sounds of Bach’s Hunting Cantata at the Jägerhof, the place it was performed for the first time. 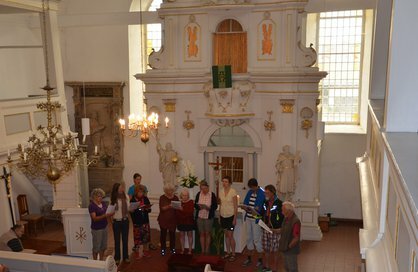 The next morning brings a guided tour of the chapel of Neu-Augustburg Castle. Later, we cycle east towards the White Elster. 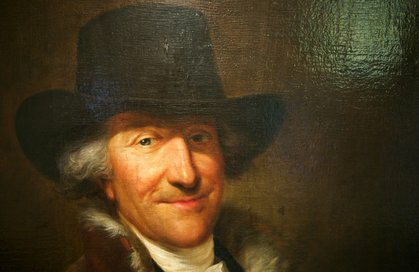 If the weather is nice we stop at the baroque castle Wiederau for lunch, and enjoy coffee and cake whilst listening to a cantata dedicated to Wiederau. The tour continues on the Elster bikeway through the Leipzig lake district to Leipzig. 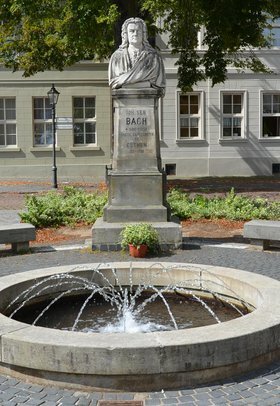 After an extensive tour around the city’s many Bach sites, there is an opportunity to visit the Bach Museum and explore the city individually. We leave Leipzig behind and cycle along the dikes of the White Elster until we reach the city centre of Halle. Here, the Wilhelm-Friedemann-Bach House and the George Frideric Handel Museum await us, Handel being one famous Bach contemporary. After a walking tour of the town and a visit of the Marktkirche (“Market Church”) we continue to the final stage of the trip which leads us across the Petersberg (“Mount Peter”) and further along the Fuhne to the residential city of Köthen. Today there are many opportunites for exploring the city. 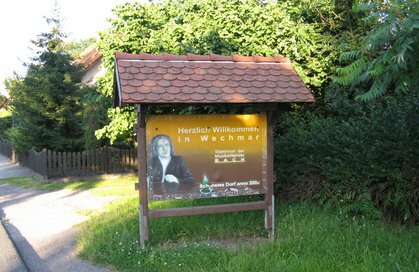 Here, Bach held his fourth post. 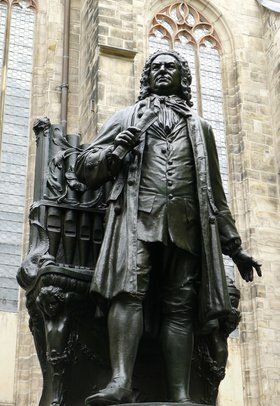 We spend morning at the Bach exhibition in the city palace and later on discover Bach’s traces during a tour of the city. 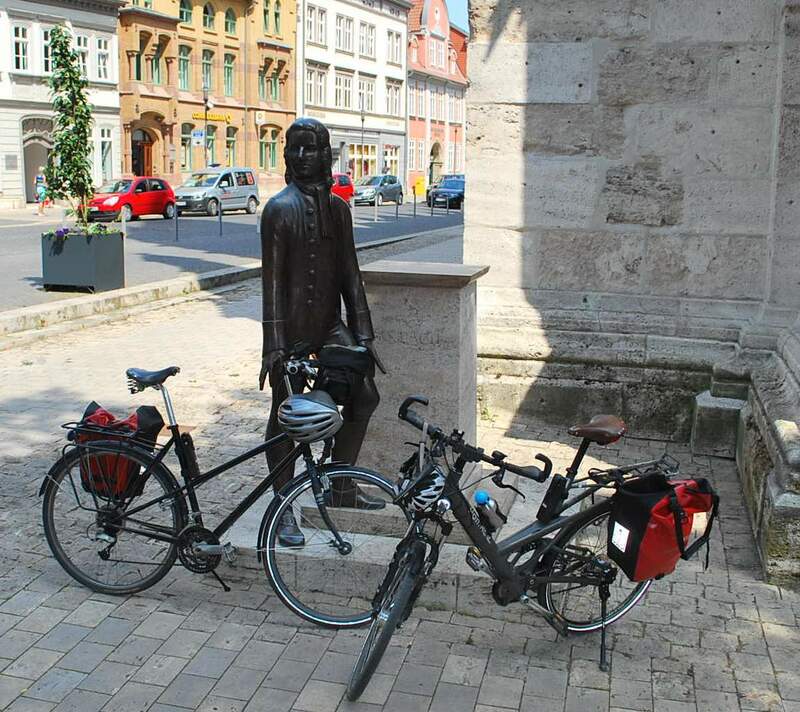 We will visit several concerts of the Köthen Bach Festival (detailed information available on request and at www.bachbybike.com). After breakfast everyone will embark on their individual journey home. Alternatively, you can join our return shuttle to Weimar.